How do I pay my Delaware franchise taxes? Your Delaware franchise taxes are due by March 1 every year. Use the instructions below to file them. 1. Go to the State of Delaware - Division of Corporations franchise tax filing page. 2. Enter your Business Entity File Number and click Continue. 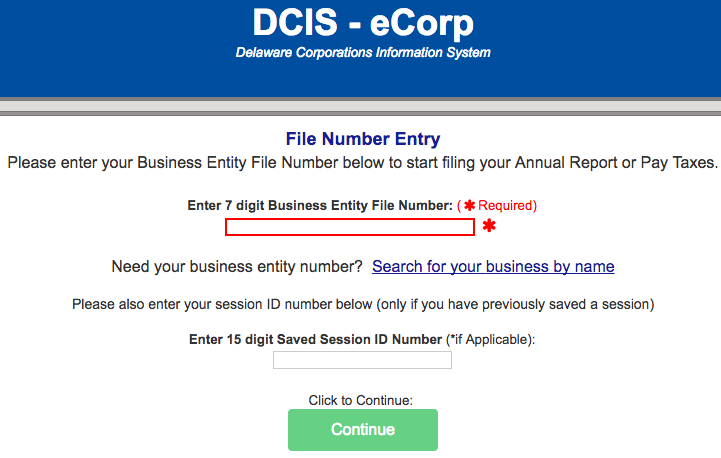 You can find your File Number on your Gust Launch Company Information page (it is called Delaware File Number there). 3. 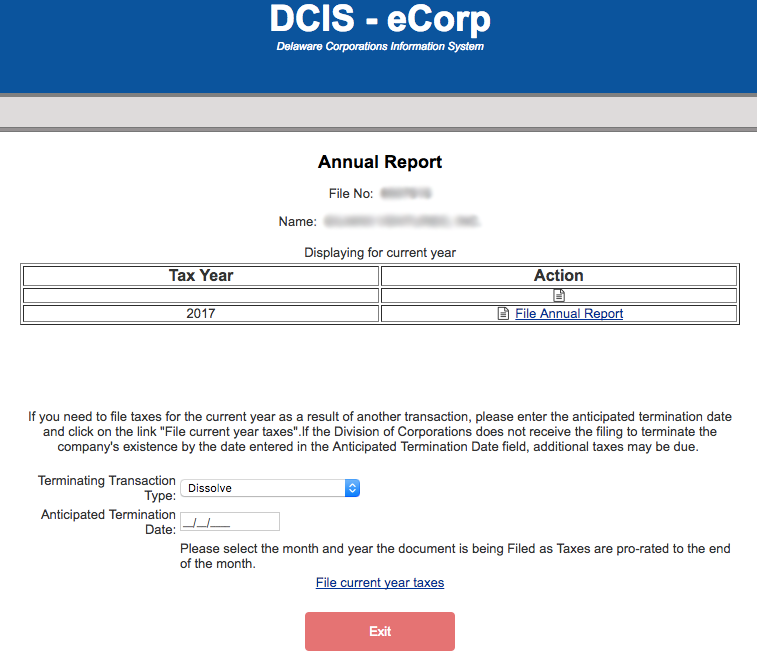 Next to the tax year that you want to pay franchise taxes for, click the link that says "File Annual Report." 4. Most Gust Launch customers will want to Recalculate their franchise taxes using the Assumed Par Value method at this point so that their tax bill is as low as possible. To do so, underneath the Stock Information section of the page enter your company's Issued Shares, Gross Assets, and for Asset Date enter the last day of the year you are filing taxes for (e.g. Dec 31, 2017). After you have entered this information, click the "Recalculate Tax" button. 5. In most cases, you should see that your "Amount Due" has been heavily decreased. The minimum Amount Due for any given year will be $400. 6. Enter your Federal Employer Id Number (FEIN) at the top of the page. Again, you can get this from the Gust Launch Company Information page. 7. Enter your Principal Place of Business. This should be the same as the physical address that you have listed on your Gust Launch Company Information page. If the information on Gust Launch is inaccurate, update it now. 8. Enter the information of one of your Company Officers (President, Secretary, or Treasurer). 9. Enter the information of all your Directors (a.k.a. Board Members). These people are listed on your Gust Launch - Manage Board page. 9. Enter your information under the Authorization section, agree to the Terms and Conditions, and click "Continue Filing." 10. Review your information on the next page, and if looks correct click "Proceed to Payment" at the bottom of the page. Enter your company's payment information and submit. You are now done filing your Delaware Franchise Taxes!